Now $300 off - hurry, limited time offer! The Westin HDX front bumper comes loaded with features you are sure to appreciate, like two cut-outs for 10" LED light bars and 1" thick shackle mounts. You can even add a matching rear bumper! Most of the HDX bumpers will fit up to a 12,000 pound remote solenoid winch. Available in textured black or raw finishes, you can choose the one that best suits your needs or style. With a raw finish, you can take your bumper to a local painter to have it paint matched to your truck. With the aggressive and rugged design you better believe your vehicle is going to be making heads turn. 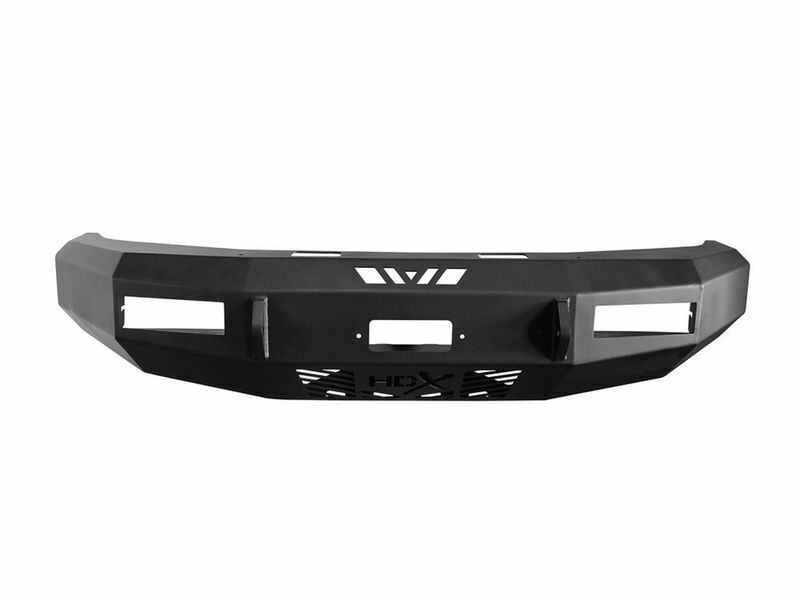 Not only that your front end is getting the ultimate protection plan considering each one of the Westin HDX front bumpers is constructed into a solid, one-piece 7 gauge steel unit. Being proudly made in the USA and backed by a limited lifetime structural warranty with a one year finish warranty you really cannot go wrong. You are not only getting a stylish addition to your front-end, but also endless protection against unnecessary damages.